Vacation Home Exchange- IVHE changes the way home swap is done. International Vacation Home Exchange- IVHE changes the way home swap is done. You have a choice, direct exchanges or credit trades. Trades: No longer must home exchangers coordinate schedules and destinations to take advantage of the cost savings of a home swap. IVHE's non-reciprocal trading gives members the freedom to choose a location without the ties of a direct house swap. You can use another member's home even if they choose not to use your home, allowing for complete flexibility of dates and versatility of location. IVHE's trades are based on a credit system that allows for non-simultaneous home swaps to any location that captures a member’s interest. Each property is assigned a credit value based on its potential weekly rental income. A luxury apartment in New York City, for example, may be given a higher credit value than a country cottage in France. Home owners earn credits each time another member stays at their property. The earned credits are then used as payment when visiting another member’s vaction property. 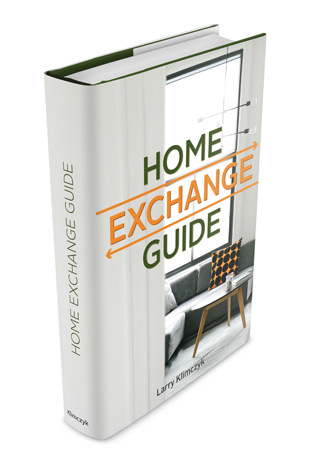 Properties do not have to home exchange on a like-for-like basis, members can save up points for an ‘expensive’ exchange or use their credits for multiple ‘less expensive’ exchanges, providing greater and more interesting choices. The easiest way to make a house swap happen, especially last minute, is by being flexible with locations and dates. Being open minded gives you a wealth of choices and you could end up somewhere exciting that you had never thought about. Step into someone else’s lifestyle and let the world surprise you. To take advantage of last minute home exchange for summer, timing is important. If you find something available move fast to get your travel plans in place as you can't expect a host to have you pencilled in for long.